The longer you stay, the more you save! Enjoy up to 30% off your room, daily breakfast buffet and complimentary $20 voucher. Use code: STAYNSAVE *Valid for 2- night stays or more. Valid for 2- night stays or more. Истекает 1 дек. 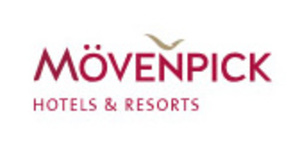 2019 г.
Mövenpick Hotels & Resorts is one of the world’s most reputable upscale hotel management company which manages 20,000-plus rooms in more than 83 hotels across Africa, Asia, Europe and the Middle East. Mövenpick has business and conference hotels, resorts, and residences in key city and airport locations across Africa, Asia, Europe and the Middle East.